From time to time, we all find ourselves at those parties where people like to talk about their jobs. Fair enough. It's what we do for most of our waking life. But as we all know, not all jobs are as exciting as others, or at least they don't appear as exciting. So, if you are a lawyer working on an plot-twisting criminal case or an artist working on a mind-bendning new gallery show, then it is easy to get the crowd worked up about the kind of things you do. I know I'm a sucker for such things. Many years ago, I used to work in television, mostly on HGTV shows, before I became a real estate agent. At parties, most people loved to ask about my job. They watch television. So, it makes sense that they would want to know about the inner workings behind how the shows are made. And yes, a lot of reality on reality shows are made up. All I would have to do is mention I worked on a given show, and the questions would start rolling in. When I became a real estate agent, the interest in my job took a bit of a turn. There were always a lot of questions about certain neighbourhoods and my opinion about what's going on in real estate right at the moment. There were a lot of questions to pull out my expertise, but very little interest about the job itself. As a career, real estate agents rarely inspire a gasp of excitement, usually because it is not much of a novelty these days to be one, especially in Toronto. So, without anyone asking me any questions directly about my full-time career, I'm going to tell you a few pretty fascinating things about real estate agents in Toronto. With the help of the talented Mark McLean, the Manager of Bosley Real Estate at the Queen West office and the knowledgable Ann Bosley, the VP and General Manager of Bosley, let me reference their findings and graphics to show you what real estate salespersons are really like in Toronto. 1. There are a lot of us. 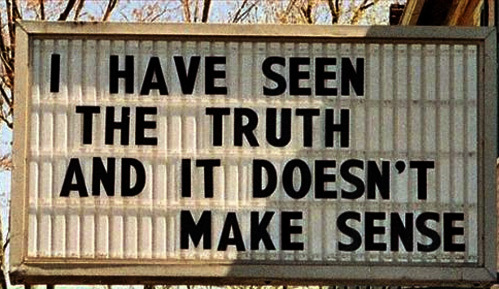 I've known this for awhile. You probably have too, but do you know just how many? There are approximately 33,000 real estate agents in this city. I know. Yikes. That's a lot. That's one agent for every 167 people. How can a real estate agent possibly make any money with those kinds of numbers? Well, let me guide you to the top graphic that indicates that more than 40% of all agents are new. The thing is that this new category seems to stay the same size year after year. So, that means a large number of people join up and many leave. In fact, 70% of all agents will drop out in the first 2 years. 2. We're old. Compared to many professions we are an older bunch. The largest age group falls between 51 and 60. If you want to feel like a spring chicken, become a real estate salesperson. And who wants to retire? The agents who stick around stay awhile. 2.8% of our workforce works past the age of 70. 3. Many Toronto real estate agents do not sell very much, if any thing. 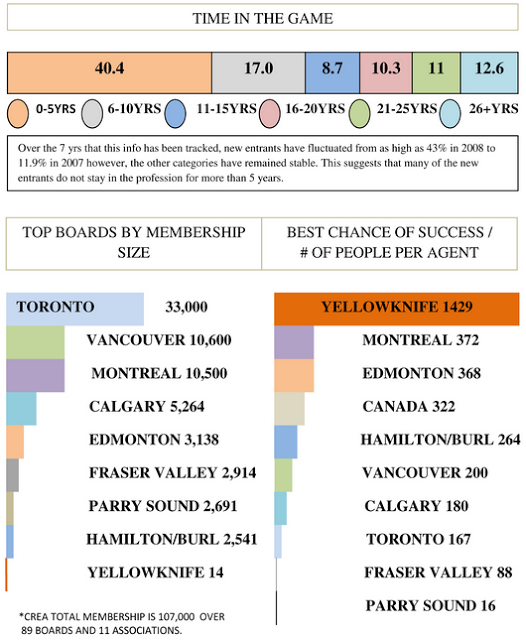 This brings us back to the 33,000 agents in Toronto stat. A full 18.6% of registered real estate agents did not sell one property last year. 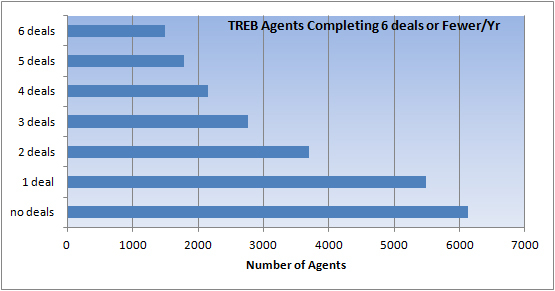 That's over 6000 agents with no deals. Keep in mind that we all have to pay fees to belong to the appropriate boards to keep our licence. So, this large group of agents is certainly not making any money. And agents with just one deal a year number over 5000. 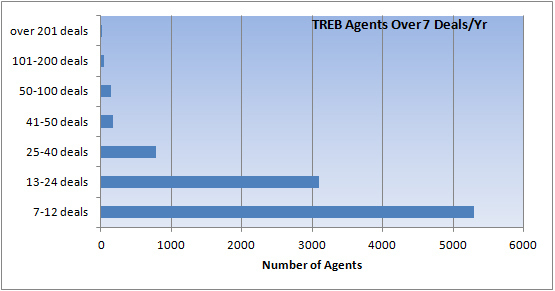 So that's almost a third of all agents who have very little experience in the trenches with one deal or less per year. The lesson: Pick your agent wisely. And at the very least, pick an agent who works full-time, and takes on real estate as a full time career. Otherwise, they may be a little clueless.